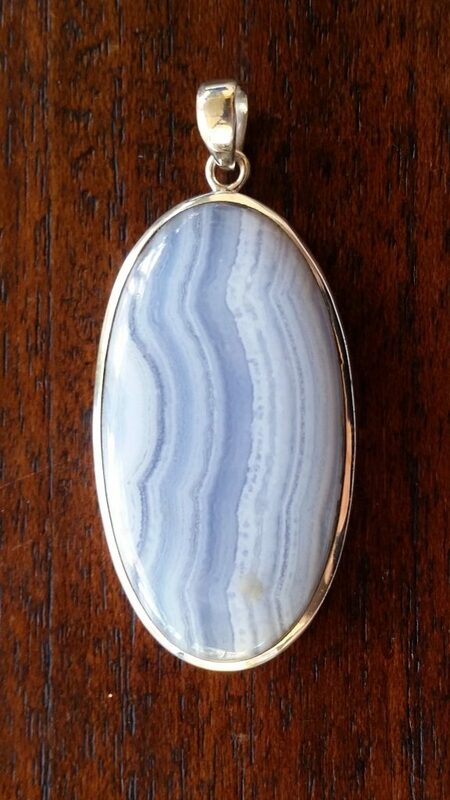 History/Mythology: The name Blue Lace Agate comes from the ‘lacy’ banding found on this stone. 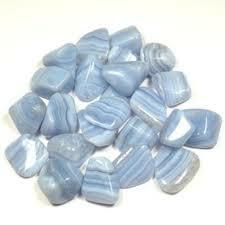 Blue Lace Agate is a member of the Chalcedony family and one of the rarest members of the Agate family. Blue Lace Agate is a very delicate and calming stone while at the same time it will allow you to accept your own emotional state. 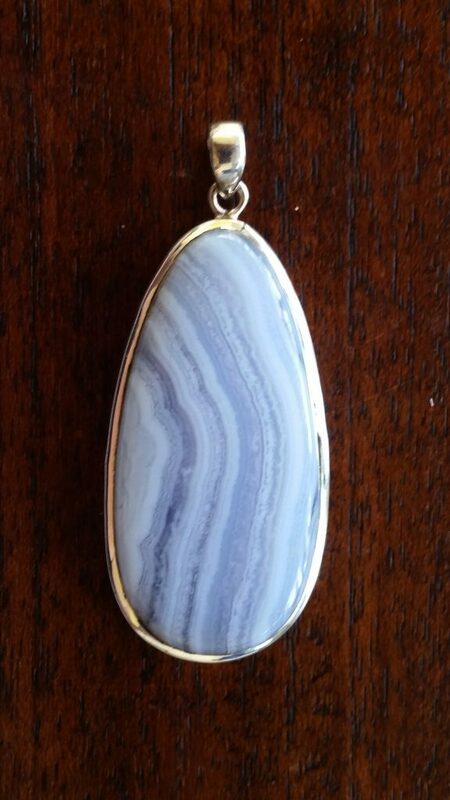 Blue Lace Agate allows you to speak from the heart while at the same time be careful with your word choice so that you come from a more diplomatic angle. It is wonderful stone if you get nervous while speaking in public or to new people – a piece in your pocket will help calm your nerves and speak more confidently. It is a stone of balance and harmony particularly if you have an active mind that need calming. Healing – Any illnesses related to the throat or the thyroid gland, sore throat, laryngitis, sinus, stutter, tonsillitis, abdominal issues, arthritis, asthma, dental/teeth issues and headaches. Can be used in all meditations particularly when calming, releasing and focusing are involved. Great for meditating with to remove a headache. Wonderful as a healing tool to use on any throat or head issues. Great to use in times of depression and facing issues and you need to find calm and clarity in order to move ahead. Carried as a talisman to assist you when you are speaking in situations that you find uncomfortable, particularly pubic speaking.